Last night the Art Director’s Guild saluted their own, and though the results aren’t shocking – each of the winners are gorgeous examples of design done right – who doesn’t love congratulating winners? The race for Oscar in this category should be a fierce one, as all three films (along with American Hustle and 12 Years A Slave) are nominated for Best Production Design. Get your picks in order, this year’s pool should be tricky…. Read more about these awards, including the winners of the television categories (huzzah Game of Thrones!) and Martin Scorsese’s Cinematic Imagery Award, after the jump. And congratulations to the winners! 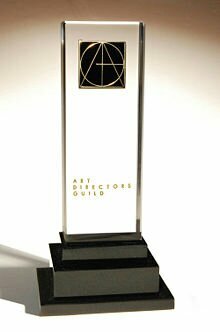 BEVERLY HILLS, Feb. 8, 2014 — The Art Directors Guild (ADG) tonight announced winners of its 18th Annual Excellence in Production Design Awards, Presented by Kohler Co., in ten categories of film, television, commercials and music videos during the black-tie ceremony in the International Ballroom of the Beverly Hilton Hotel in Beverly Hills. The awards took place before an audience of more than 800, including guild members, industry executives and press. ADG Council Chair John Shaffner presided over the awards ceremony with comedian Owen Benjamin serving as host. Martin Scorsese received the Guild’s prestigious Cinematic Imagery Award presented to him by Leonardo DiCaprio and Jonah Hill, his stars of The Wolf of Wall Street, which is currently nominated for five Academy Awards® including Best Picture and Best Director. Production Designer Rick Carter was recipient of the Lifetime Achievement Award, presented by Kohler, which created a special award for the occasion. ADG President Mimi Gramatky and Production Designer Robert Stromberg participated in the presentation. Hall of Fame inductees were Robert Clatworthy, Harper Goff and J. Michael Riva. The 18th Annual Excellence in Production Design Awards were co-produced by Dave Blass and Raf Lydon. Presenters for this year’s awards included Leonardo DiCaprio (The Wolf of Wall Street), Jonah Hill (The Wolf of Wall Street), June Squibb (Nebraska), Mimi Gramatky (ADG President), Julia Stiles (Blue), Robert Stromberg (Life of Pi), Elisabeth Rohm (American Hustle), Tricia Helfer (Killer Women), Katee Sackhoff (Longmire), Joe Manganiello (True Blood), Dennis Haysbert (24), Frances Fisher (Resurrection), Jon Avnet (Blue), Bruce Davison (X-Men) and Bill Bohnert (Maximum Drive). Paramount Pictures; Platinum: LBI Entertainment, Steven Spielberg; Gold: Fox Studios Productions, ICM Partners, NBC/Universal Operations Group, United Talent Agency; Silver: Astek Wallcovering, The Bridgeman Art Library Ltd., Fox Searchlight, The Skouras Agency, Warner Bros. Studio Facilities, Walt Disney Pictures, The Weinstein Company, WME Agency; Media: The Hollywood Reporter, SHOOTMagazine/SHOOTonline, and Variety. This entry was posted in Awards Season and tagged Art Director's Guild, Award Season. Bookmark the permalink.